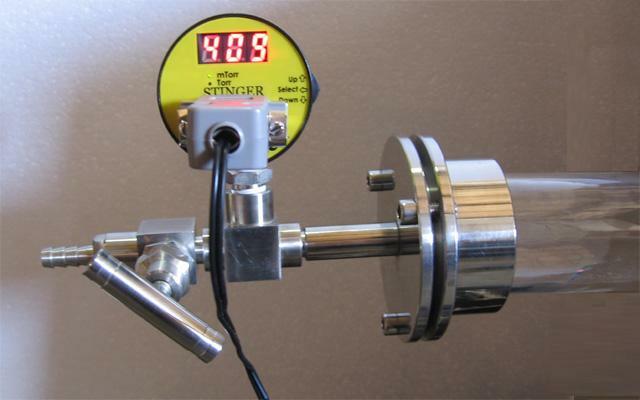 The EQ-CVM-211 Stinger module provides the basic signal conditioning required to turn a convection vacuum gauge into a complete measuring instrument. 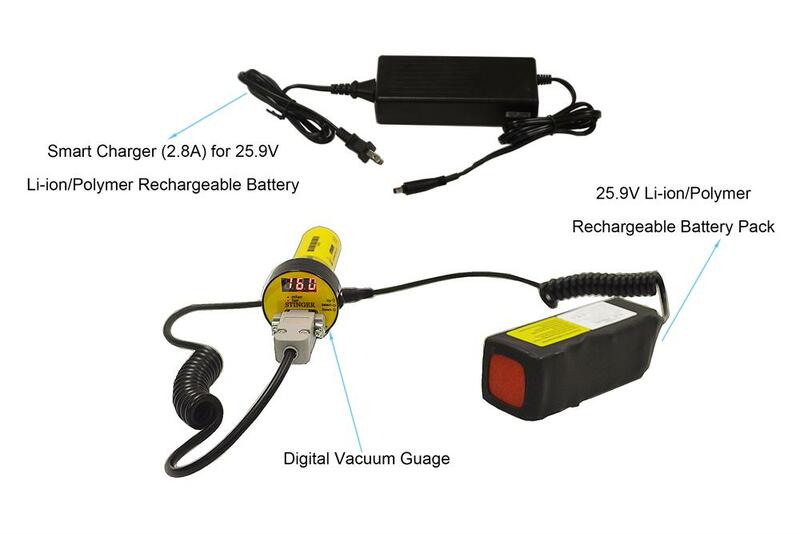 A built-in display provides a convenient user interface for setup and operation of the vacuum gauge. 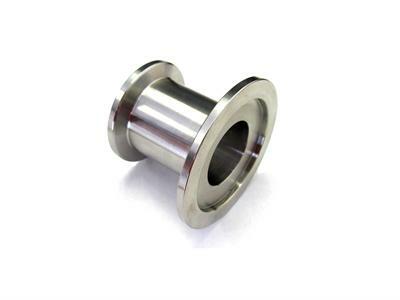 Its platinum plated tungsten sensor wire can resist most of aggresive gases such as H2S, Ammonia, HCl, etc. Convection enhanced Pirani vacuum gauge module with on-board controller. Wide measurement range 10-4 to 1000 Torr. Includes built-in digital display, set-point relay, analog output. Updated to KF-16 interface for Quick-Mount. This gauge is calibrated for direct readout of nitrogen or air. Do not attempt to use with other gases such as argon (Ar) or carbon dioxide (CO2) unless accurate conversion data (provided in the User Manual) for N2 to other gas is properly used. You must calibrate "Zero Point" under 10-4 Torr before measuring vacuum system from 10-4 - 10-3 Torr, otherwise, the gauge may not display accurately in that range. For detailed calibration procedure, please refer to the operation manual below. 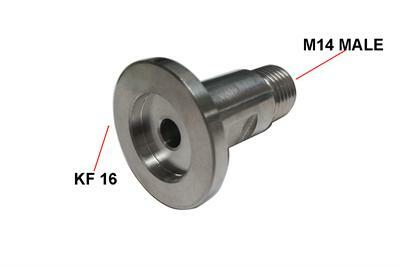 MTI can help customer finish the "Zero Point" calibration before shipping upon customer's special request at extra $100. 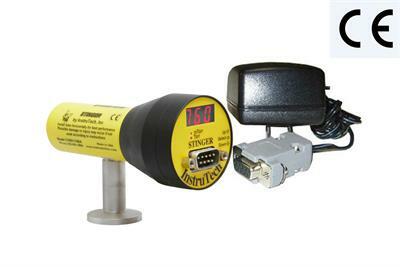 Anti-corrosive version gauge can be used for aggressive gases such as Hydrogen sulfide, ammonia, etc. 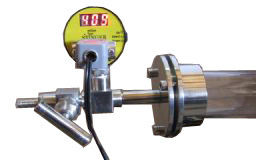 Please consider using the EQ-PGC-554-LD Anti-Corrosive Capacitance Diaphragm Gauge (click picture below for more details) to eliminate the hassle of factoring gas type dependency into the pressure reading output. This GREATLY REDUCES the risks of explosions in tube vessels or other chambers due to incorrect display of pressure AND/OR negligence of adjustment for gas types.